Nowadays, new markets are only opened up through the use of exceptional creativity, environmentally friendly behavior, and highly developed customer service. This is the philosophy of smartfiber AG. The fiber manufacturer based in Rudolstadt (Germany) is celebrating its 10th anniversary this year. smartfiber AG was founded in 2005. 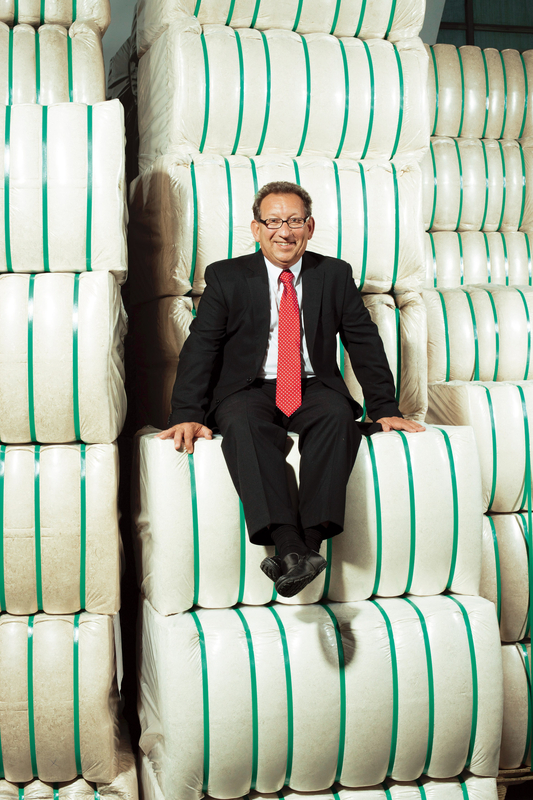 The company develops and markets innovative power fibers for the international market since 2005 - with lasting success. This also shows the presence at the Heimtextil 2015. The core competence of the company is to provide natural lyocell fibers by the addition of natural organic and inorganic additives with unique features. As a result, the high scientific quality functional fibers below the internationally protected trademarks SeaCell™ and smartcel™ sensitive are the basis for innovative and environmental products. smartfiber AG puts highest emphasis on sustainable economic activity and on heeding to environmentally friendly standards in producing their lyocell fibers. The company strictly adheres to the company’s motto: “Anything against nature won’t abide for any length of time“ (Charles Darwin). The lyocell process is a purely physical one. In contrast to the viscose process or cotton process, processing lyocell is characterized by an eco-friendly standard, the closed solvent circuit. During the process, cellulose is solubilized in a nitrogenous solvent and then brought into its fiber form. 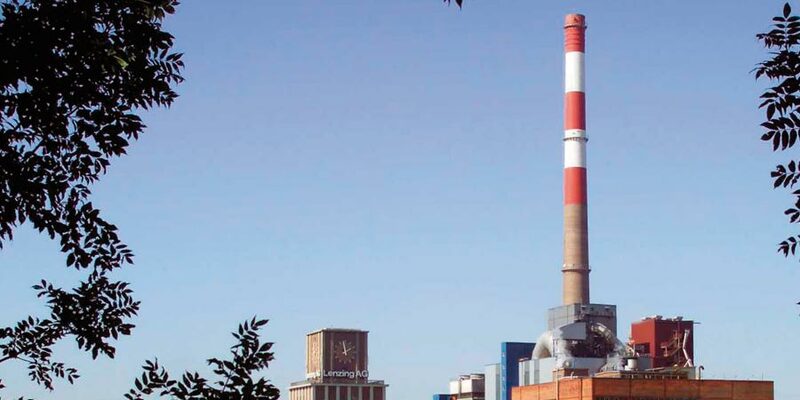 The advantage of this production process is that the production takes place in a closed circuit and there are no chemicals disposed of as waste. The fibers of smartfiber AG are made of biogenic raw materials. They are sustainable and completely biodegradable, therefore adhering to the expectations of the industry and modern customers. 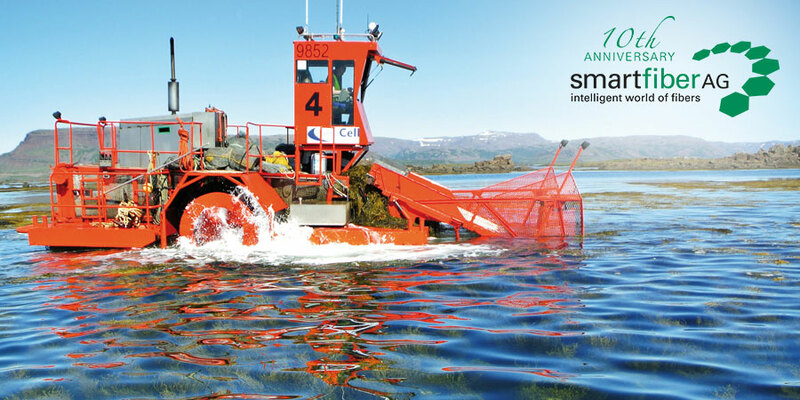 Here is the best example of sustainable thinking and acting by smartfiber AG: The SeaCell™ seaweed is always harvested in a gentle and sustainable way. A certain section of the so-called regenerative region of the seaweed is allowed to be harvested only once every four years. SeaCell™ is environmentally friendly and meets the growing demand of today’s consumer for green, sustainable and ecological friendly products. 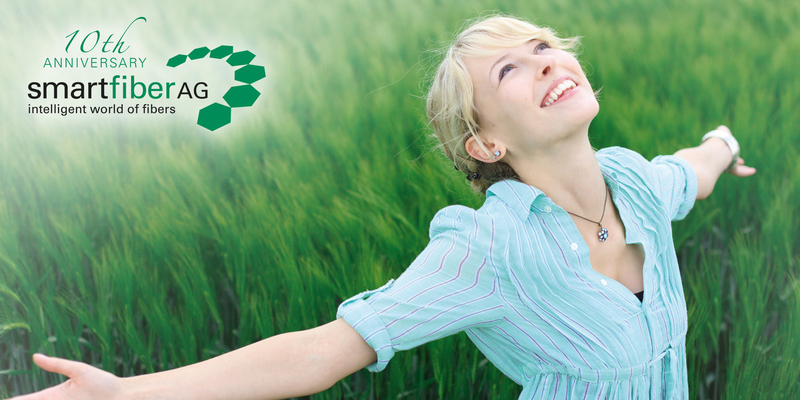 SeaCell™ is a perfect medium to bring nature’s beneficial properties into one‘s daily life. Therefore, the European Union has awarded this process with the European Environmental Award 2000 in the category “technology for sustainable developments”. High quality products for higher quality of life: SeaCell™ and smartcel™ sensitive are power fibers with added value – thanks to their “inner values“. SeaCell™ containing seaweed is the basis for high quality natural textiles that benefit the skin. The seaweed found in the SeaCell™-fibers is harvested in the cold, pure fjords of Iceland. They are particularly rich in minerals and trace elements and aid in the regeneration and revitalization of the skin. This is because seaweed contains antioxidants, a natural protection against free radicals. Antioxidants minimize the damage that environmental influences can have on the skin. SeaCell™ also lends all textiles a particularly soft and smooth touch, provides the wearer excellent comfort and has a wellness- and anti-aging-effect. The fiber is suitable for home textiles, underwear, activewear, leisurewear, and also nonwovens. smartcel™ sensitive fiber utilizes the skin-caring properties of the essential trace element zinc. Zinc oxide plays an important part in human nutrition and as a component of skin-building enzymes. It is directly incorporated into the fiber, which as a result regenerates and revitalizes the skin. smartcel™ sensitive fiber also contains the odor-reducing properties of zinc oxide. Because of these characteristics, smartcel™ sensitive is especially applicable in fields where odor control and skin care or protection against UV radiation and environmental influences are in high demand – such as for underwear, activewear, leisurewear, medicinal uses, the bedding industry, and nonwovens. Many high quality products with the SeaCell™ and smartcel™ sensitive fibers in the market show a dynamic upward trend, also because the smartfiber AG offers customized solutions in all areas. Therefore, the fibers of smartfiber AG - 10 years after its founding – are an indispensable part of the international textile market. Nowadays only high creativity, environmental awareness, and strong customer orientation can open up markets – that's the thinking and acting of smartfiber AG. The fiber manufacturer, based in the city of Rudolstadt in Thuringia, Germany, is celebrating its 10th anniversary this year. 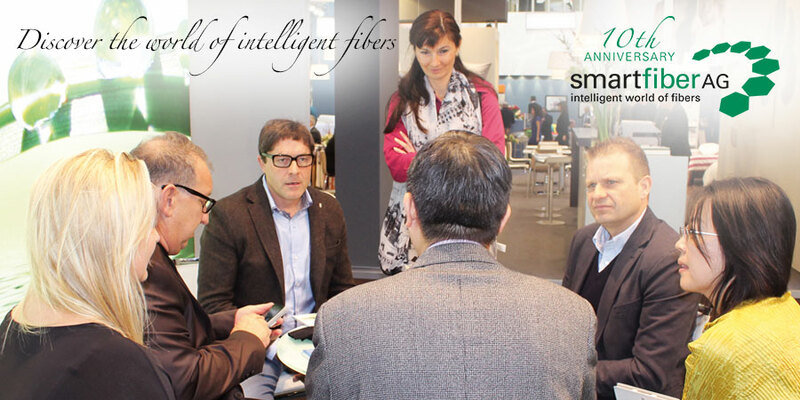 smartfiber AG develops and markets innovative high-tech fibers for the international market since 2005, with lasting successes; including this year's presence at the Heimtextil international trade fair. The core competence of the company is to provide natural lyocell fibers that are enhanced by natural organic and inorganic additives with unique features. These functional fibers are produced in a highly scientific environment and are the basis for innovative products. They are protected by the SeaCell™ and smartcel™ sensitive trademarks. Many high-quality products containing the SeaCell™ and smartcel™ sensitive fibers show a dynamic upward trend on the market, also owing to the fact that smartfiber AG offers customized solutions in all areas. 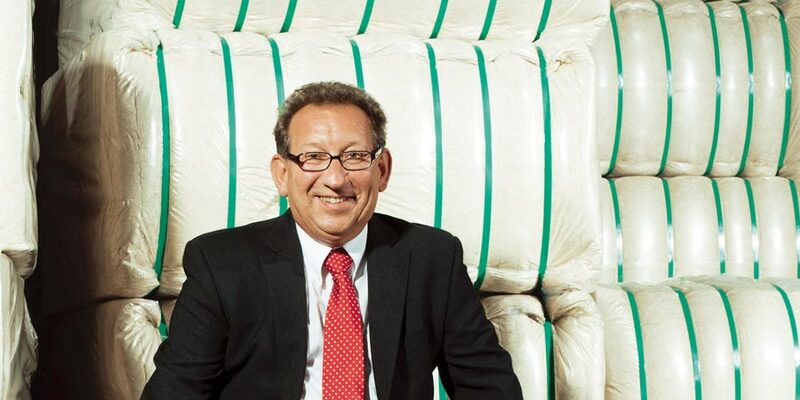 Ten years after its founding, the fibers of smartfiber AG are still an indispensable part of the international textile market. Home is where you feel most comfortable, and smartfiber AG produces fibers that give you the “Finally-at-home-feeling”! The SeaCell™ fiber with seaweed and the smartcel™ sensitive fiber with zinc offer exceptional skin protection and skin care properties. The high-quality fibers are already embedded in blankets, pillows, mattresses, bedding, bed linen, towels, bathrobes, bath mats and sleeping bags of many renowned providers. These home textiles have a soothing, regenerating, and protective effect on the skin of the user. Visitors can see the benefits that home textiles with SeaCell™ and smartcel™ sensitive offer at the new, expanded exhibition booth. Several manufacturers of various home textile segments will present their products containing smartfiber AG's power fibers. 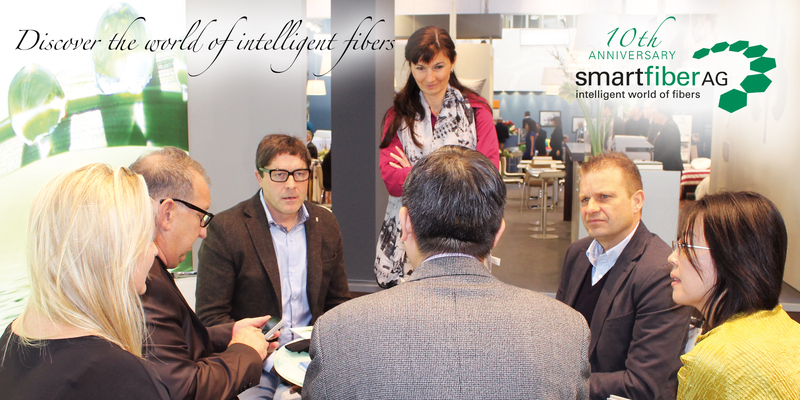 smartfiber AG will also present specially designed brochures at the trade fair to the home textile market. The brochures demonstrate the advantages that SeaCell™ and smartcel sensitive have for home textiles. Among other things they will describe in an informative and clear manner how the seaweed in SeaCell™ is like any vitalizing, good topical cream, and also how the zinc oxide in smartcel™ sensitive protects from harmful UV radiation. One particular highlight of smartfiber AG´s trade fair presence at the Heimtextil is the presentation of the new customer campaigns for the fibers SeaCell™ and smartcel™ sensitive. The campaign "The SeaCell™ effect" relies on a combination of expressive images and customized slogans. The individual motifs have been selected to combine key messages of the fiber with appealing illustrations of the fiber's applications. Therefore, each individual customer is being "spoken to" by a specific motif and subject, and can instantly be transported to experience the "SeaCell™ effect". The communication campaign with the slogan "It will surprise you ..." garnered much attention at the New York Home Fashion Market Week in September 2014. The campaign is implemented as a movie, as a brochure, and on posters. It helps the retailer in providing fast, informative, and image-focused advertisements to the customers. The campaign highlights: SeaCell™ is a sustainable fiber with added value, thanks to the very best properties of natural seaweed embedded in it. It offers wellness and anti-aging effects. The fiber is both regeneration and lifestyle, and brings some quality of life back into everyday life. SeaCell™ corresponds to the expectations of modern, active consumers. The smartcel™ sensitive campaign also corresponds to the expectations of a new generation of consumers who are looking to buy textiles with added value. This is the point of approach for the campaign, under its special slogan: "smartcel™ sensitive – 'The beautification fiber'". Anyone who is conscious of their body, who prefers a sustainable and environmentally friendly way of life, and who expects more from his home textiles, should get to know smartcel™ sensitive! The message of the campaign, presented as a film, shows that smartcel™ sensitive is the natural fiber with the essential trace element zinc. It is modern, patented, awarded with a prize for innovation and developed in Germany. The high-tech fiber combines regenerating and skin-protecting properties through the embedding of the high-quality, natural, and medically approved zinc oxide. The zinc oxide in the fiber also allows for the wearer to be naturally protected from UV radiation and harmful environmental influences. In addition, the fiber reduces unpleasant odors. Home is where you feel most comfortable! True to this motto smartfiber AG produces the high-tech lyocell fibers SeaCell™ and smartcel™ sensitive which are the basis for textiles with particularly protective and skin-caring properties. The high-quality wellness-fibers are used in duvets, pillows, mattresses, bed linen, bed sheets, towels, bathrobes, sleeping bags and bath mats of many renowned providers. Home textiles with SeaCell™ and smartcel™ sensitive have a caring, vitalizing, regenerating and protecting effect on the skin of the user. The secret of smartfiber AG´s fibers is a patented procedure that includes natural additives with a positive effect for the skin permanently into a cellulose fiber. SeaCell™-fibers contain finely ground Icelandic seaweed. The smartcel™ sensitive-fibers contain the essential trace element Zinc. SeaCell™ is well-being for the skin. It provides for protection against environmental influences thanks to the high proportion of health-promoting elements in the seaweed. SeaCell™-fibers contain finely ground Icelandic seaweed from a unique ecosystem. The seaweed is particularly rich in minerals, proteins, trace elements and vitamins. The vital substances of the seaweed are released by the natural skin moisture while wearing the garment. They provide skin care and protection against free radicals. SeaCell™ provides for an unmistakable soft and smooth touch in all textiles. Whoever wears textiles made from SeaCell™ feels the typical wellness effect on the skin and does not want to miss it anymore. SeaCell™ is made of sustainable raw materials and is 100 % USDA organic certified. The SeaCell™-fiber stands for regeneration and lifestyle and brings some quality of life back to the stressful daily routine. That precisely corresponds with the expectations of today’s modern, active customers. They want natural textiles with a positive effect on their skin. smartcel™ sensitive with the essential trace element zinc offers a cosmetic, regenerative and odor-reducing effect in combination with soft hygiene. The cellulose fiber is characterized by the skin-caring and protecting properties of the inserted zinc oxide. This zinc oxide offers also protection from harmful UV radiation, similar as used in sun blockers. In ointments, powder, baby creams and cosmetic products it supports the natural processes of the skin, fosters the wound healing and fights skin inflammation. In addition, it is effective against bacteria and fungi – like this, it is ideally applicable in home textiles. 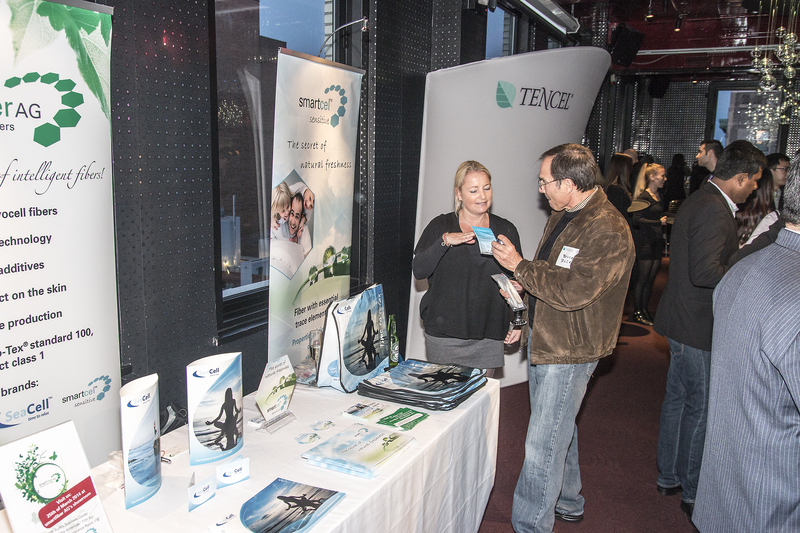 Lenzing AG, world market leader for man-made cellulose fibers and the smartfiber AG are expanding their cooperation. In the future Lenzing will exclusively produce the lyocell specialty fibers smartcel™ sensitive and SeaCell™ developed by smartfiber AG at the Lenzing site in Upper Austria. In 2007, Lenzing already granted smartfiber AG a license for the pilot production of new types of lyocell specialty fibers. Moreover, smartfiber AG and Lenzing have been cooperating for several years to develop fabrics and on various research projects. For reasons of profitability, the pilot plant of smartfiber AG is being relocated from Rudolstadt to Lenzing in order to be able to rapidly move ahead with the commercial exploitation of smartcel™ sensitive and SeaCell™ fibers in spite of rising energy and raw material prices. The integration of the facility in Lenzing, the world’s largest cellulose fiber production site, will enable a significantly better cost structure. Moreover, the smartfiber AG pilot plant had recently reached its capacity limits due to the continually increasing order volume, which no longer made it possible to optimally coordinate incoming orders and accept large orders. smartfiber AG will continue to be responsible for the sales and marketing of smartcel™ sensitive and SeaCell™. The smartcel™ sensitive and SeaCell™ fibers are primarily used in home textiles as well as in the fashion and medicine segments. The SeaCell™ fibers contain valuable active substances from seaweed which promotes health, nurtures the skin and protects against free radicals. smartcel™ sensitive is the first antibacterial, natural fiber available on the market to which the essential trace element zinc is added, thus enabling regenerative skin care and hygiene in textiles. The management of smartfiber AG considers the intensified cooperation with Lenzing to be an important and future-oriented step for the benefit of customers which comprises a win-win situation for the two companies involved. Thus the high level of competence on the part of Lenzing with respect to the production and processing of lyocell fibers under the brand TENCEL® will be combined with the original and innovative patented technology of the function-oriented fiber products developed by smartfiber AG. The objective of smartfiber AG is to be able to offer the best possible quality, service-oriented order processing and intensified sales-driven marketing support to customers in the future. For Lenzing the launch of pilot production for smartfiber AG at the Lenzing site is a consistent continuation of the research and development partnership which smartfiber AG and Lenzing have pursued for years. The story of smartcel™ sensitive: How a cellulose fiber with zinc turns textiles into real skin care products! How did the idea to develop the smartcel™ sensitive-fiber arise? smartfiber AG was repeatedly confronted by its customers with one requirement from all sectors of the textile industry: “We need a fiber with an antibacterial effect that is simultaneously gentle and caring to the skin.“ No sooner said than done. In cooperation with the Thuringian Institute of Textile and Plastics Research (TITK) a functional fiber with the active substance zinc was developed. The advantage: Zinc is a natural element, which has an antibacterial effect and also positive influence on the human body and therefore on the skin. What is so extraordinary about smartcel™ sensitive? The smartcel™ sensitive-fiber uses the skin caring effect of the essential trace element zinc. Through the application of a high-quality, natural and even medically approved zinc oxide, this high-tech fiber combines regenerative and skin caring effects with hygienic properties. Our skin benefits from that. As the protective shield of the body, our skin receives support and care through textiles with smartcel™ sensitive. In everyday life, nothing is in such close contact with our skin as clothing, home textiles and underwear. The smartcel™ sensitive fiber uses this combination by integrating the best of the true elixir of life zinc: the cosmetic effect for our skin. The production process of this natural fiber is done without use of nanotechnology and aggressive chemicals. smartcel™ sensitive is certified by Oeko-Tex® standard 100, product class 1 (for baby products). Moreover the innovative and patented fiber technology is embedding the trace element zinc permanently, i.e. the properties remain effective for the whole life time of the product. The smartcel™ sensitive fiber is made of a biogenic raw material, which is environmentally friendly, sustainable and 100% biodegradable. You skin will thank you! What are the advantages of zinc for human beings? Zinc exists worldwide in the earth crust, especially in ores. It is vital for humans. Like almost no other nutrient, zinc has a big impact on our wellbeing. After iron, zinc is the most frequent trace element within the human body. Zinc provides for a healthy growth in humans, animals and plants. It is omnipresent within the body and of crucial relevance for the core functions of the organism. It strengthens the immune system and the body‘s defences but also sensory functions and fertility. In nutrition it takes on an important role as well. As an essential component of over 100 enzymes, zinc contributes to the digestion and utilization of fats, proteins and carbohydrates and is closely involved in energy production and prevents symptoms of deficiency in the long term. Animal source foods like meat, fish, seafood and cheese, but also oat flakes and wheat whole grain flour are high in zinc. In which form is zinc inserted into the smartcel™ sensitive-fiber? smartcel™ sensitive contains pharma 4 grade zinc white. This pharmaceutically pure zinc oxide produced from metallic zinc meets DAB 10 purity requirements and other international regulations for the preparation of pharmaceuticals. We use this zinc oxide daily – in sun blockers as protection from harmful UV radiation, in ointments, powder, in high quality face creams, baby care products and cosmetic products. In all these products zinc oxide supports the natural processes of the skin, fosters the wound healing and fights skin inflammation. The smartcel™ sensitive fiber uses the skin caring effect of zinc oxide for textiles with a soft, regenerative effect. Integrated into the fiber, zinc oxide, as a component of skin-building enzymes, acts directly on the skin and does not have to be transported to the skin first. Thus, smartcel™ sensitive has the secret of natural freshness. 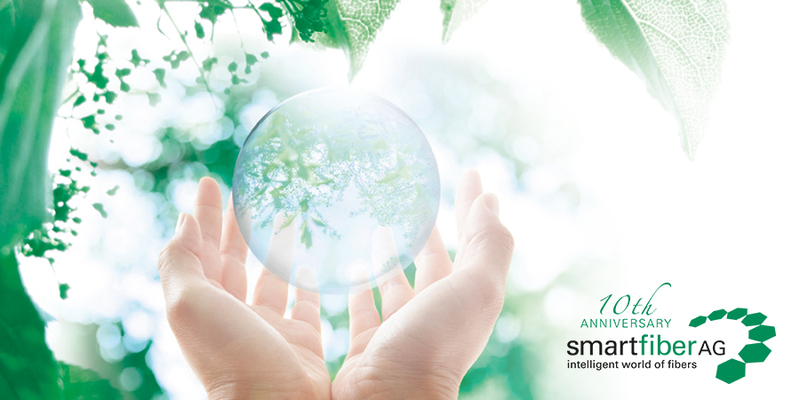 For which textiles is smartcel™ sensitive especially suited? During the further development of smartcel™ sensitive, smartfiber AG followed the customers requirements of all textile sectors. Therefore, the zinc fiber is ideally suited for textiles of all kinds. smartcel™ sensitive is combinable with all common fiber types like synthetics, cotton and many others. Furthermore, the fiber remains effective even in wool blends. To guarantee the effect, only 10 % of the smartcel™ sensitive -fibers are needed in the end product. The fiber can be integrated without any difficulty in all textile standard processes (e.g. dyeing and finishing). In addition to an enhancement of the wear comfort and the protection from stress factors or similar environmental influences, the revitalizing properties of this fiber are helpful for all people. This includes business-, work-, sports- and leisure wear, baby- and children’s clothing, underwear and socks. smartcel™ sensitive is also suitable for the use in home textiles like bedding, bed linen, mattresses, and towels. Test results of the renowned Hohenstein Institutes confirm the effect of smartcel™ sensitive. They prove a transfer of zinc ions from the filling of duvets with smartcel™ sensitive – which are not in direct contact with the skin – onto the skin of the sleeping person where they develop their positive, skin-regenerative effect. The whole power of the fiber shows its strength in work clothing and medical textiles: its cosmetic and caring effect in combination with antibacterial efficiency – thanks to the high content of zinc oxide. smartcel™ sensitive‘s strong bacteriostatic efficacy against antibiotic-resistant germs (MRSA) makes it an ideal choice for medical applications like surgical clothing and clothing for medical professionals as well as hospital bed sheets and curtains. Textiles with smartcel™ sensitive have been also clinically tested to improve quality of life for allergy sufferers and people with neurodermatitis and sensitive skin. smartcel™ sensitive is also ideally applicable in dressing materials and plasters. The fiber permits quicker skin regeneration and complication-free wound healing. For these reasons, a lot of providers of the sectors fashion, clothing, home textiles and medical textiles already rely on smartcel™ sensitive. Has the effect of smartcel™ sensitive been proven? The efficiency of smartcel™ sensitive-Faser was tested with positive results by several independent institutes – like the Hohenstein Institutes or the University Clinic of Jena for Dermatology and Dermatologic Allergology. The certificates and test reports are available in the download area on www.smartfiber.info. 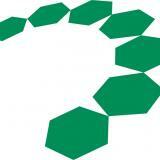 Where can I get more information about smartfiber AG and smartcel™ sensitive?